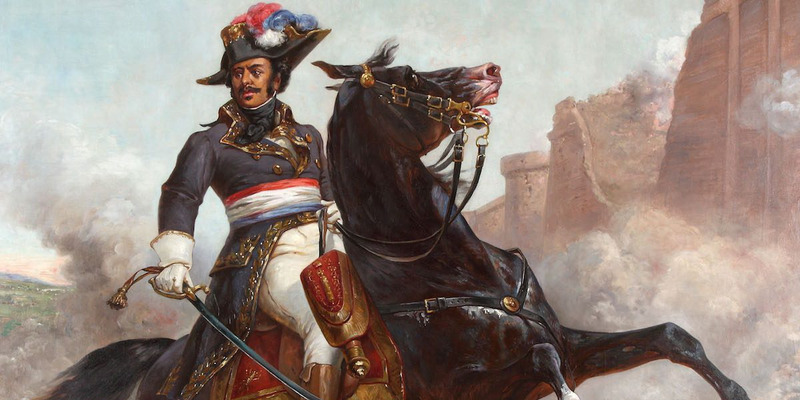 France’s first black general, Thomas-Alexandre Dumas, once fought an entire Austrian cavalry squadron by himself – and emerged practically unscathed. The fight took place during Napoleon Bonaparte’s Italian Campaign of 1796-1797. 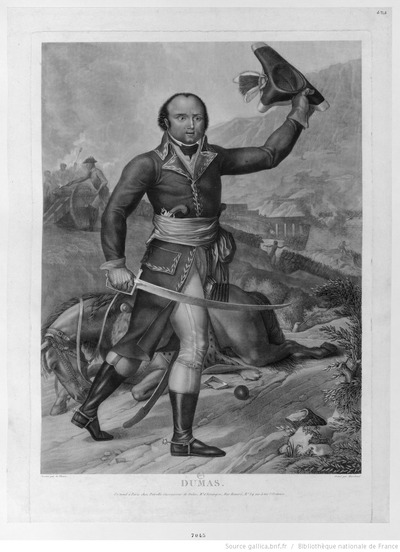 Dumas, who was also the father of the famed author, Alexandre Dumas, was the only four-star general of an all-white army before Colin Powell. General Thomas-Alexandre Dumas was covering the retreat of his 30 dragoons and light infantry across a bridge in the Italian village of Klausen when his horse was shot out from beneath him. With his aide-de-camp severely wounded, Dumas found himself alone on the narrow bridge as an entire Austrian cavalry squadron closed in. Using his dead horse as a barricade, and armed with only a sword, he stood and fought the squadron singlehandedly for several minutes. When reinforcements finally arrived, sending the Austrians fleeing, they were likely amazed at the scene before them. The year was 1797, and Dumas was a divisional general in France’s Army of Italy. 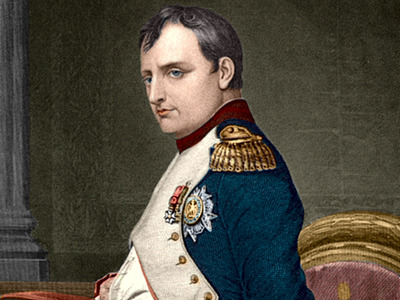 Commanded by the upstart Napoleon Bonaparte, the French army was trying to beat back the Austrians, which were part of a coalition of monarchs intent on destroying the French Revolution before it could spread any further. Dumas, the son of a white French minor nobleman and black slave, and also the father of famed author Alexandre Dumas, was France’s first black general. In fact, he was the only four-star general of an all-white army before Colin Powell. Born in modern day Haiti, Dumas moved to France when he was a teenager with his father and later enrolled in the army as a private a few years before the revolution broke out. Dumas also apparently had near-super-human strength. To amuse his friends, he would sometimes put four fingers into the barrels of four muskets and then raise them perpendicularly to his shoulders. As a young child, he was also said to have lifted himself and his horse off the ground by grabbing an overhead beam of a barn. It was this strength that helped Dumas that day on the bridge at Klausen. When Dumas’ reinforcements finally arrived, and despite being sabred a few times, he jumped on another horse and started chasing the Austrians. Bonaparte later wrote to the Directory (one of the many French central governments that came and went after the Revolution) praising Dumas. But Dumas and Bonaparte later had a falling out. While they were in Egypt a few years later, Dumas criticised Bonaparte for his invasion, and even requested to return home early, which greatly upset the future emperor. While sailing home, Dumas was captured and imprisoned. Bonaparte did little to help him, and Dumas languished in a cell for nearly two years before being released. The imprisonment destroyed Dumas’ constitution, and he died shortly thereafter.